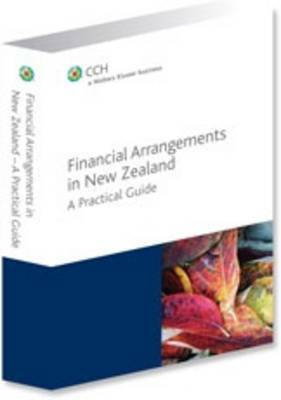 This practical and informative guide to New Zealand's financial arrangements rule has been updated to cover changes to the rules since the last edition was published in 1999, the most notable of which is the introduction of IFRS spreading methods. The new edition has also been re... read full description below. This practical and informative guide to New Zealand's financial arrangements rule has been updated to cover changes to the rules since the last edition was published in 1999, the most notable of which is the introduction of IFRS spreading methods. The new edition has also been revised to focus on the current rules, with any differences between those and the old Division 1 rules highlighted in a separate chapter. The guide is a useful resource for practitioners and students alike, identifying and explaining key issues that arise and containing worked examples, flow charts and quick reference guides.